The fitness industry is booming, and, with so many people passionate about health and exercise, it's no wonder there's a growing interest in fitness careers. Becoming a personal trainer or a fitness instructor is always an option, but there are others careers to check out as well. While personal trainers focus mostly on exercise, wellness coaches look at the bigger picture, working with clients to develop health and fitness programs by identifying the obstacles standing in their way. This is more of a collaborative and individualized experience in which the coach will encourage clients to set their own goals in a realistic and sustainable way. Beyond fitness planning, a wellness coach will offer guidance about nutrition, weight management, stress reduction, and health risk management (such as smoking and drinking). As a wellness coach, you can help people manage conditions like high blood pressure and diabetes or choose to work with special populations such as teens, children, seniors, and people with disabilities. Flexibility. You can work with your clients in person or by phone, email, or Skype. Many wellness coaches work mainly phone, providing them a healthier work/life balance. Opportunities. You can work with individuals or join a corporate environment. Coaches often write books and articles, teach seminars, and work with personal trainers doctors, dieticians, and other health professionals. Satisfaction. Wellness coaches tend to form more intimate relationships that go well beyond basic personal training. It is an ideal career for someone who strives to connect with people on an intimate level. According to a report from the U.S. Bureaus of Labor Statistics (BLS), coach practitioners, a designation which excludes athletic or sports coaches, had an average annual income of $61,900 in 2017. You don't need a special degree to become a wellness coach. However, you will want to get certified to gain credibility in the industry. There are almost too many coaching certifications available in the industry, and it can take time to separate the good from the not-so-good. One of the best-known accreditation programs is offered by the International Consortium for Health and Wellness Coaching (ICHWC), a group that has set national standards for wellness coaching. Another great choice is the American Council on Exercise (ACE) which offers certification approved by both the ICHWC and the National Commission for Certifying Agencies (NCCA). To get certified, you will typically pay upwards of $400 to obtain a home study program with a certification exam to complete at your leisure. There are also classroom-based courses that may take up to 60 hours, roughly at a cost of $700 to $1,000 per level. A weight management consultant helps people develop weight management programs that comprise nutrition, exercise, and lifestyle management. For this job, you will work with clients to identify barriers that contribute to weight gain, delving deeper into the psychology of weight as opposed to issuing guidelines of weight loss. Position. You will function on a more executive level rather than be limited to a gym environment. It is well suited for problem solvers who have analytical thinking and instructional skills. Variety. In addition to different clients, challenges, and goals, your job may encompass one-on-one consultations, telephonic support, travel, and the drawing up of institutional guidelines. Advancement. Weight management certification can broaden the career opportunities for a personal trainer. Some consultants with high school educations will choose to expand their career by pursuing a bachelor's degree in health, nutrition, fitness, or a related field. Entry-level consultants with companies like ﻿Jenny Craig earn around $30,000 per year. Those who pursued a bachelor's degree and became a dietician or nutritionist earned an average of $59,410 in 2017, according to the BLS. 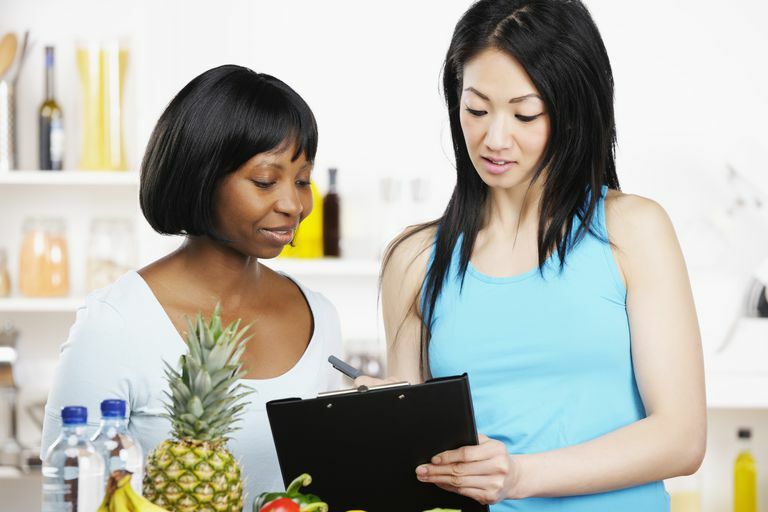 A high school diploma is typically needed to pursue a career as a weight management consultant. There are a number of online courses available, some better than others, that cost in the ballpark of $700 per certification level. Whether you choose home-based or classroom-based training, it is best to look for those certified by the like of the National Exercise and Sports Trainers Association (NESTA), the American Council on Exercise (ACE), and American Fitness Professionals and Associates (AFPA). Becoming a massage therapist takes more time than either of the other two careers but can offer more in terms of job satisfaction. If you are interested is in fitness and health, you may be best served to pursuing licensing as a sports massage therapist. Sports massage therapy is geared toward athletes of every sort, from world-class professionals to weekend runners. The massage techniques can vary by the sports and level of the athlete you're working with. Some therapists are generalists, while others pursue careers specific to a certain sport. Flexibility. Depending on your aims, you can set your own hours, either working at home, in an office setting, or making house calls. Growth. The demand for sports massage therapists is growing each year. According to the BLS, there is annual growth in this employment sector of over 20 percent annually. Prestige. Sports massage therapists are generally taken more seriously given that their role is to heal, not pamper. While there are sports massage therapists who work in spas, they are more commonly found in gyms, working with physiotherapists, or employed by sports teams or associations. While the average national salary for a massage therapist was $42,100 per year, according to the BLS, sports massage therapists tend to demand higher salaries if working with athletics groups or physiotherapy practice. The majority of states require the licensure and/or certification of massage therapists. Some states allow you certification if you complete an accredited training program; others are more demanding based on the type of license you hope to obtain. For example, you may need to obtain a two-year associate degree if you want to be licensed in sports and rehabilitation therapy as opposed to just sports massage. In terms of job opportunities, many employers will require certification through the National Certification Board for Therapeutic Massage and Bodywork (NCBTMB). Depending on where you live, massage therapy training can take anywhere from six months to a year. On average, you would need to complete 500 to 600 hours of classroom and practical training at a cost of $6,000 to $10,000, including textbooks and supplies. Green, K. Career Outlook: You're a what? Life coach. U.S. Bureau of Labor Statistics; published online January 2017. U.S. Bureau of Labor Statistics (BLS). (2018) Dieticians and Nutritionists. Occupational Outlook Handbook. Washington, D.C.: U.S. Department of Labor. U.S. Bureau of Labor Statistics (BLS). (2018) Massage Therapists. Occupational Outlook Handbook. Washington, D.C.: U.S. Department of Labor.